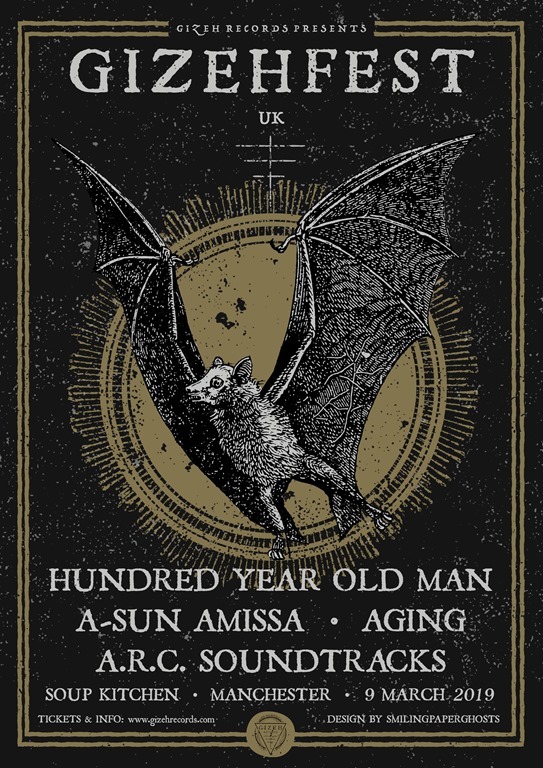 With an evening to fill in Manchester, the offer of four bands, including one I already know to be good, at a venue five minutes from my hotel was always going to be a winner. Unsurprisingly, it proved to be the right decision: Gullivers is in fact a decent pub, with five hand-pumps offering a selection of local brewery, JW Lees’ brews, and an upstairs room which is a perfect small gig venue: rectangular, dark, with a high stage and a well-proportioned PA installed. First band up, Pijn (seemingly pronounced ‘pine’ although variant pronunciations emerge through the evening, mostly sounding like ‘pigeon’, and the band don’t seem too fussed) are a local three-piece. And they’re good. Very good: Immense rolling drumming holds the sound down. There are some hoarse-throated vocals, but their material is largely instrumental and defined by a textured guitar sound. Samples drift and drummer switches to synths, and later does vocals to. With monumental crescendos but also chugging riffs galore, there are hints of Maybeshewill but heavier, calling to mind Pelican and Neurosis. It’s a strong performance from a band with a dynamic sound and an accomplished set, and who stand out in a populous field. 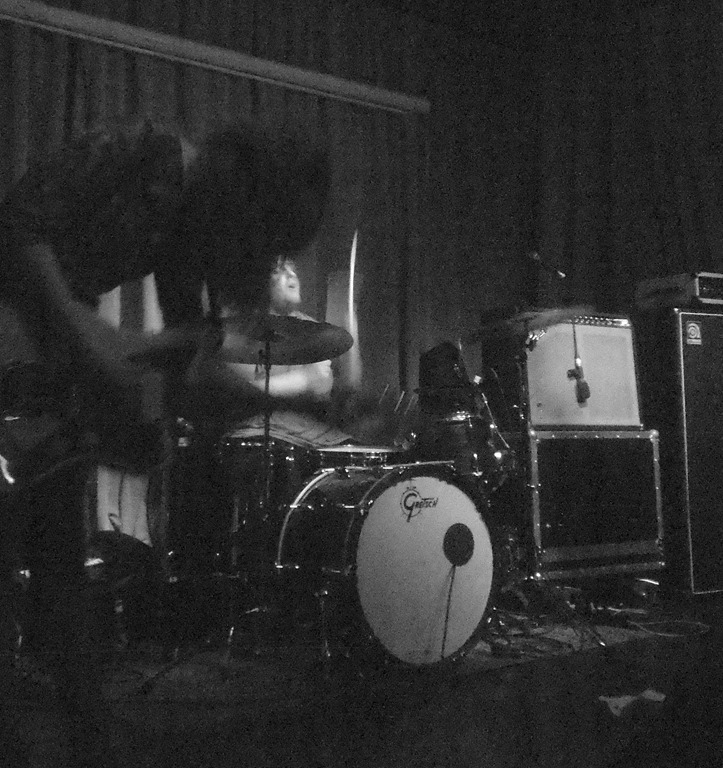 Leeds trio Irk (a configuration of drums / bass / vocals) have chunked up and tightened up a fair bit since I last saw them. They still sound like Blacklisters (and that’s by no means a ba thing), but lay down some hefty grooves with assurance. They land a brace of new ones early on, the second of which, ‘Insect Worship’, is built around an elastic funk groove over which echoed vocals wash before it busts into a jagged, jolting, hollering finale. People start moving and getting into it properly around halfway through the set, and it’s gratifying to see them so well-received away from their local scene. I always maintain that the test of any band’s quality is their ability to convince an impartial audience Too many bands seem content to build themselves up to being big on their local scenes and play to their mates who’ll always turn up and tell them their great, but band with ambition have to take the risk of stepping outside the scene. Some nights, they’ll tank, however good they are. 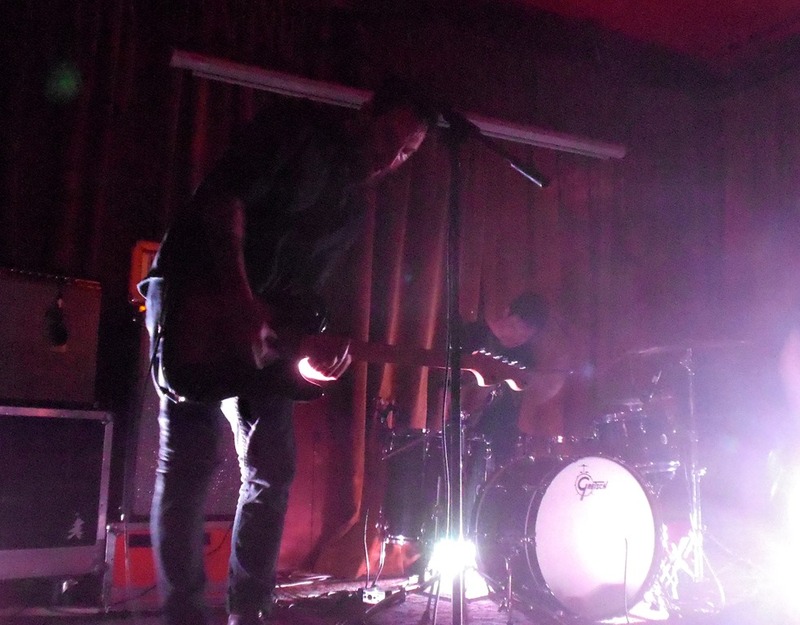 But with their frenetic hybrid of Shellac, Nirvana and The Jesus Lizard, filtered through the warped prism of Blacklisters, they manage to more than convince this respectable Manchester crowd, and deservedly so. 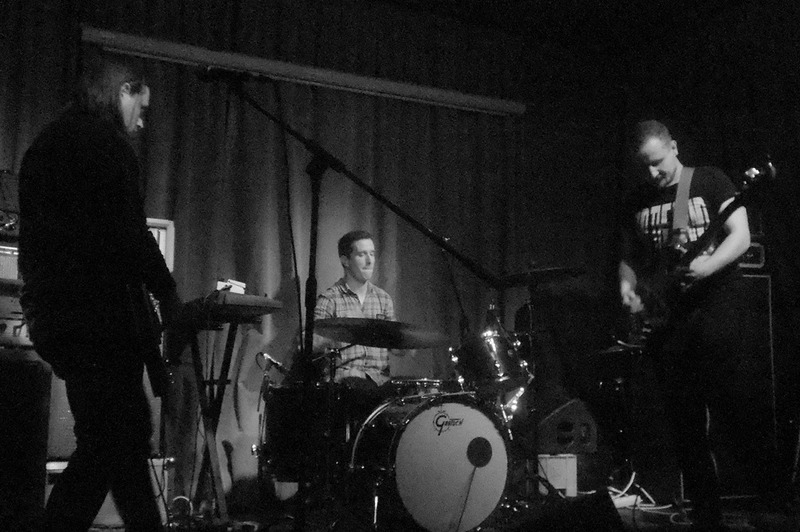 Widnes trio Mums offer a different permutation of the three-piece: they have two guitars but no bass and sound a fair bit like Melvins. Having seen Melvins only a couple of weeks back, it’s not entirely surprising that they’re not quite as magic as their mighty forebears but then, few acts can truly touch Buzzo and co. 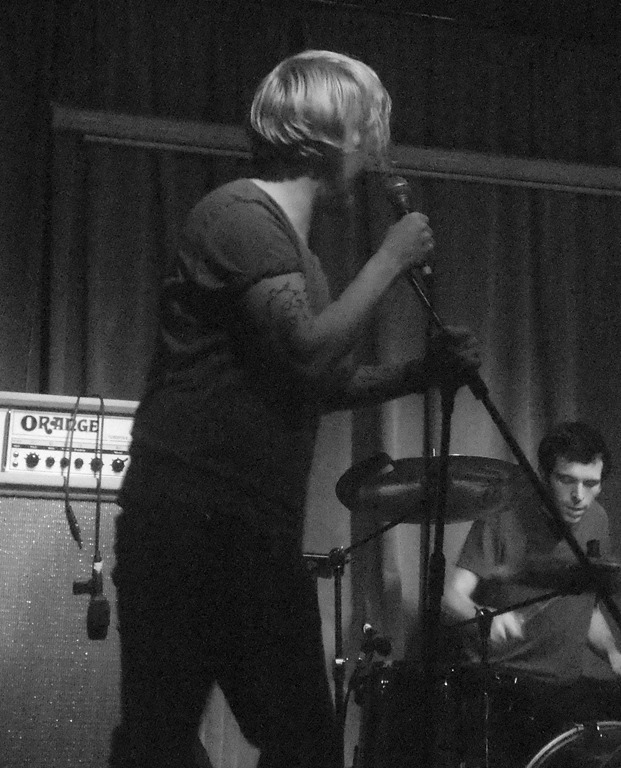 Still, Mums are young and infuse their megalithic riffery with a finely-tuned pop edge. The slowed-down sludge of ‘Can of Worms’ which crashed in about a third of the way into the set is stonking. Guitarist Roanne Wood is slight in build and looks girlie in paisley a minidress: her Marshall JCM 800 amp and 4×12” stack is bigger than her and the riffs grinding forth from it are similarly huge. With stereotypical German efficiency, Heads. pull back a 20-minute overrun on stage times to start only five minutes later than scheduled. With enhanced lighting and an immense, dense but crisp sound, their textured and very heavy riff-centric material is given optimal conveyance. It’s the bass that leads. Low down, twisting, grinding, it’s melded to thunderous percussion. 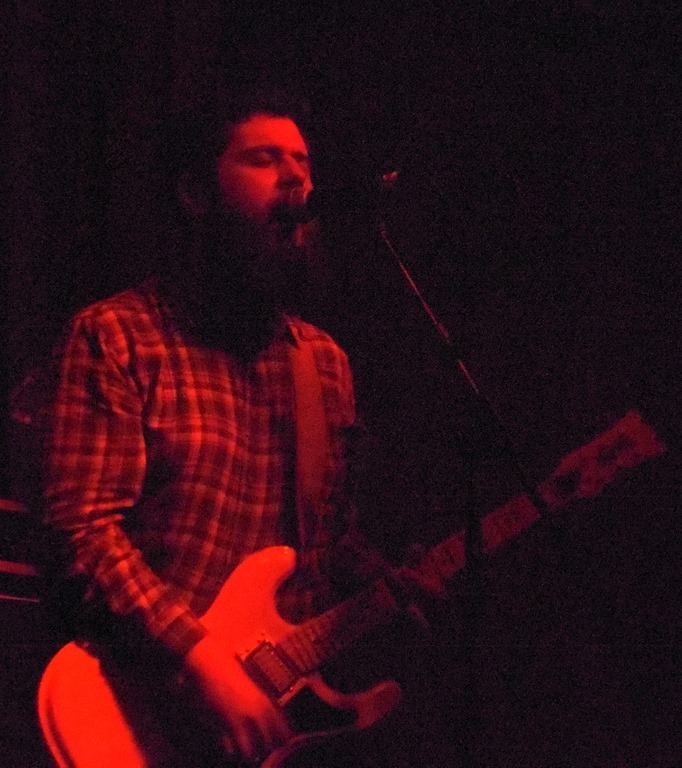 Guitarist Ed Fraser sweats like rain after just three songs: this is a band that really gives everything to their performance I can’t be sure if Fraser’s guitar’s signal is split through two amps: if it is, it may explain the depth and richness of the sound. It may simply be that these guys are sonic wizards, the magical triangle of the pow trio amplifying the input of each player threefold to produce a sonic summit. On the one hand, it feels criminal that bands this good should be playing in venues upstairs from pubs with a capacity of maybe 100. On the other, this is where the real buzz lies: seeing bands of this calibre for six quid, up-close-and-personal, while supping a decent pint that cost £3.50, from a proper glass, while people up the road are watching Lionel Ritchie from a vantage that suggests they’d have fared better watching it on telly while having forked out a fortune for the ‘pleasure’ feels like a real win. Last Harbour aren’t exactly renowned for their prolific output. They may have released six albums, but it’s taken the best part of 17 years, and the gap between the last two albums was a full four years. So, for Paler Cities to follow less than a year after their last long player, the immense Caul, feels like a real step-up in terms of momentum. The 7” single is accompanied by a brace of digital-only tracks, and the quality of the material is both consistent and superlative. 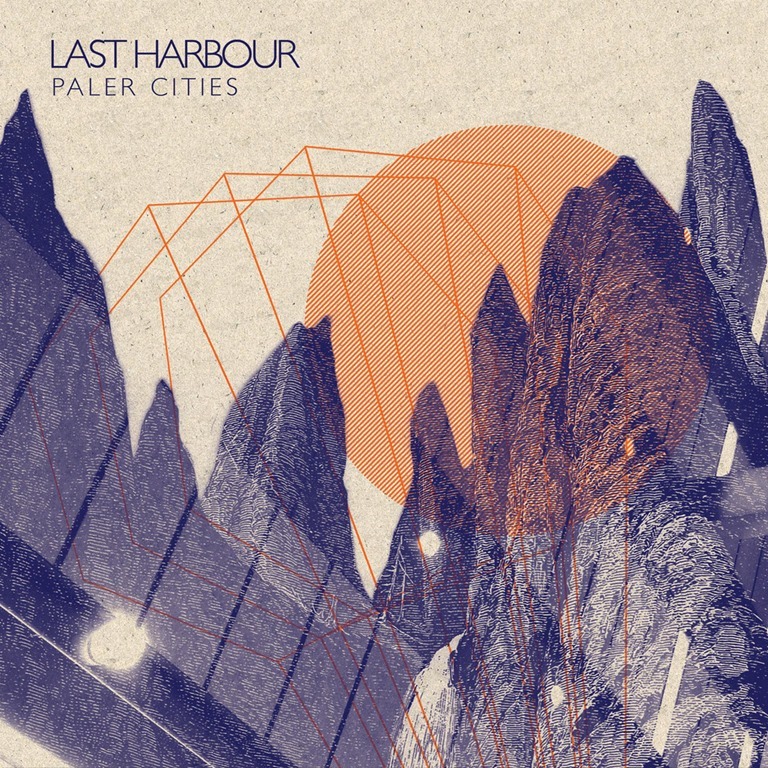 They’ve struck a rich seam of gloomy post-punk folk music, and ‘Paler Cities’ indicates a further evolution, showcasing a new-found stripped back approach to the compositions. A tense, chorus-heavy guitar provides a suitably stark backdrop to K Craig’s intonations of mournful longing delivered in his signature cavernous baritone. Flipside ‘The Curved Road’ is a brooding, introspective effort which goes deep inside while evoking dark late-night imagery and conjuring psychological drama. The stealthy, almost subterranean, wandering bassline really makes it. The digital tracks are of an equal calibre: ‘A Better Man’ is beautifully lugubrious and understated, dripping with minor-key violin, and with its chiming guitars and sad-sounding string arrangements, the darkly dreamy ‘Witness’, with its sweeping vistas, displays post-rock tendencies (or, more specifically, it echoes I Like Trains at their most melancholy). There’s an overarching theatricality to the four tracks on offer here, and while they’re downtempo and downbeat, the aching beauty that lies in their shadowy depths is utterly compelling.